Next Sunday 26th June we have a stall at Union Chapel Summer Fete 12 noon to 4pm. 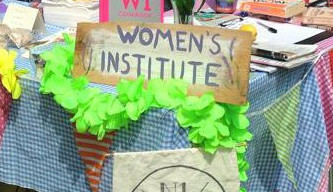 It was a lovely day last year and the money raised helps towards keeping our WI running! It’s also a brilliant way to get the word out about our WI to the local community. We will be selling lemonade and small sweets and treats, as well as running a nerf gun alley game! We need volunteers to provide these treats! Biscuits, sweets, popcorn, maybe flapjacks and the like, but please no cake! There will be a separate cake stall and we don’t want to overlap. Also, there won’t be any shade so the treats need to not melt! We also need people to help at the stall – setting up beforehand, serving people during the day and helping with the game, then tidying up at the end. Any time you can spare would be brilliant. Oh and empty, rinsed out drinks cans for the game! Can you help? Get in touch to hello@n1wi.co.uk or on our Facebook group!